What the F Happened?December 2016 - What the F Happened? Today is Saturday, December 31, 2016; New Year’s Eve. I am making my prediction now, that The Ohio State Buckeyes, will be the 2017 NCAA Football Champions! Why am I so certain that The Ohio State Buckeyes will be the 2017 NCAA Football Champions? Natural Gut! Its the Cinderella Team feeling you get when underdogs rise to the occasion and do something no one thought they could. Just like the Kansas City Royals became the 2015 Major League Baseball Champion on their second attempt. Just like the Cleveland Cavaliers rose from waiting decades to win NBA Finals Championship, which they did when they beat the 2015 NBA Champions, the Golden State Warriors, in 2016. Just like Dak Prescott and Ezekiel Elliott has taken the Dallas Cowboys from a Fan’s team to the America’s NFL Team that won 5 NFL Championships of old by soaring in the 2016 NFL as the NFC East Champions and the Bye-Week with Home-field Advantage during the 2016 NFL Playoffs. As of the publishing of this Blog, The Dallas Cowboys are 13-2. In my opinion, and as a die-hard Dallas Cowboy Fan, the Dallas Cowboys are headed to the NFL Superbowl 51 Championship and will be 2017 NFL Champions! Somethings you just know. Now that we know Alabama beat Washington to play the winner between #2 Ohio State and #3 Clemson, and before I head out to be with my family for the 2017 New Year, allow me to share with you why, I have faith in the Buckeyes! 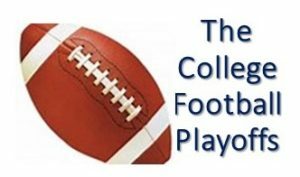 If we’re not a fan of college football but kept up with the end of the 2016 season of the AFC-W NFL news, I would have supported #MichiganUniversity if for no other reason except for the fact that last year their Coach Jim Harbaurgh who is also the brother of the Baltimore Ravens (Coach John Harbraugh) was “released” as the head Coach from the San Francisco 49ers just before the 2016-Playoffs. With all eyes on Harbraugh hoping that he would lead his college football team to the 2017 Collegiate Championship Game, for me, I took the fork in the road leading up to this game because my favorite football team (The Dallas Cowboys) selected #EzekielElliott from #OhioStateUniversity as their 2016 4th Round Draft Pick as #RunningBack. I studied how First Year College football Coach Jim Harbraugh for #MSU recruited the more wealthier southern raised well fed huge elites over the more regional working-class from Michigan, Chicago, Wisconsin, etc… strategy that got them to the Number 3 spot in the NCAA Division. I watched Urban Myer, hired in 2011 to be the football Coach for #OSU with the highest winning average over all previous #OSU football coaches. I watched Coach Myer make J.T. Barrett a young black “all-star” from Wichita Falls, TX his Quarterback in 2013. However, J.T. Barrett only missed being the winner of The 2015 Heisman Trophy because during the 4th quarter of that game the MVP broke his ankle – causing OSU to miss out on the 2015 championship opportunity. J.T. Barrett was not supposed to be able to play football this year but he did as Jr QB for OSU. My list is long as to why I cheered for OSU to win today’s NCAA Divisional Football Game. The main reason I cheered for OSU to win over MSU is because of the elitist behaviors led by Coach Jim Harbaugh. He is known for yelling at Football Officials and Referees when he was the 49’s Coach and he hasn’t changed since becoming MSU’S Coach. The rivalry between OSU and MSU started in 1897 when MSU beat OSU 34-0. That was 113 games ago. Fast-forward – OSU has beaten MSU since the 108th game in 2011. If MSU’S new Coach Jim Harbraugh didn’t win a game; he is supposed to beat OSU…since he’s been Coach MSU, he played OSU twice and loss each game. Instead of taking responsibility for the loss and possibly not making playoffs, Coach Jim Harbraugh did what he is known to do…blame the officials. I fully intended to post this blog long before now. In fact, I’d plan to post this before the NCAA Committee decided who would be in the Playoffs. I really thought that MSU would have been selected over OSU. When OSU was selected, it gave me another reason to believe that OSU had the horseshoe. Today, Washington State loss to Alabama in the CFB Semi-Finals. Tonight, I am pulling for the Ohio State (Buckeyes) to win in a very defensive game over the Clemson (Tigers). In the CFB 2017 Finals, January 9, 2017, the Ohio State Buckeyes, will be the 2017 NCAA Football Champions!